Ok first of all, I want you to know that this post is about how I do NOT have it all together! Paper clutter is my nemesis. I hate it and I truly think one day it'll swallow me whole. It's truly overwhelming how much paper is piled up every afternoon after our five school-aged kids empty their backpacks from school that day. Art projects, field trip forms, graded homework, birthday invitations, and scraps of papers with phone numbers scratched upon them for proposed playdates litter our kitchen. And then the mail comes. And every time Val, our sweet mail-lady hands me another stack of envelopes full of bills, invoices, coupons, and such... I have half a mind to just hand it back and tell her I don't want it. So my countertop ends up looking like this photo. Bleh. Who's with me? Are you overwhelmed by it?! Here are a few things that I do. But though I'm trying...it's SUCH a battle. And if I were honest, it's a battle I'm losing. I just started using this glass box for our bills. I realize it's a bit unconventional, but I needed something that was out and visible. Something where I could see the bills, and not forget about them. I've had bad luck placing them in a file folder or little bin on my desk. Nothing like paying extra for a late bill. Um, not that I've ever done that. But with this, I'm grouping them according to being paid on the 1st or 15th and paper clipping those groups together. I can see that I have bills to pay, but they're contained and (almost) pretty. I made this command center a few years ago. On it, I pin our kids' latest awards, monthly preschool calendar, field trip forms, party invitations, sweet notes the kids have written, and photos of the children we sponsor in Ethiopia. It's often more cluttered than I'd prefer. But it's functional. It works for us. Upstairs in my office I have a cabinet with files full of things like report cards and shots records. Things I don't necessarily get into regularly, but is easily accessible. But I also use this vintage dish rack (from Goodwill) for files I use day-to-day. Here in our new house, I am lucky enough to have a desk here in the kitchen as well as one in my office. Coupons are placed here, along with daily type folders. Honestly, I just bought these folders a few days ago so I'm not entirely moved in yet. But this is the desk where mail is piled, so I need this space to be incredibly functional. Sigh. But exactly how to do it, I'm just not sure. How do you control your clutter?! 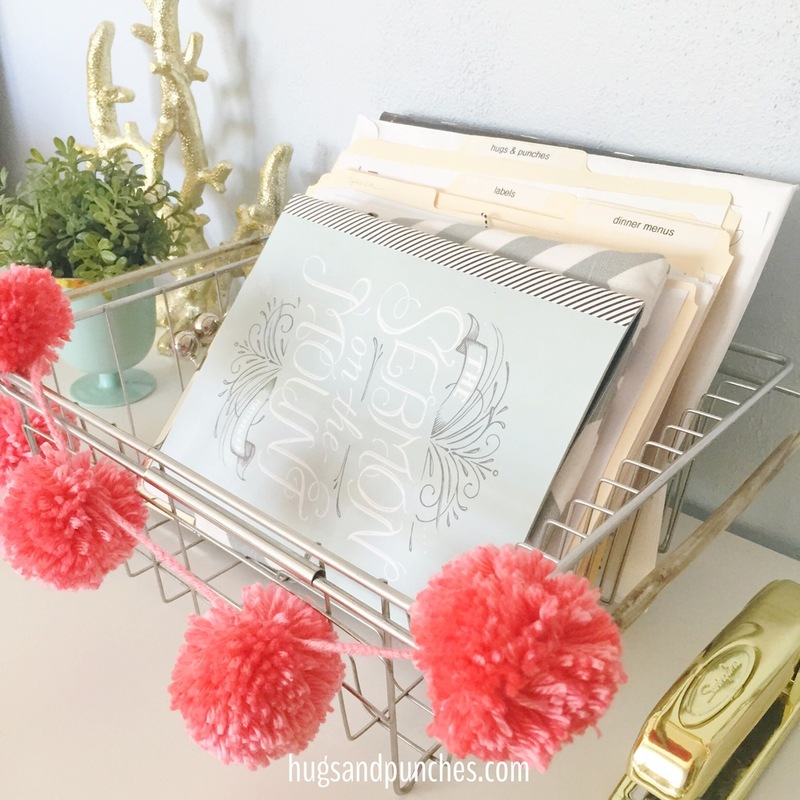 PLEASE tell me what you do to stay organized and find things you need when you need it! What's your bill-paying system? Where do you put all those papers for your retirement, kids college savings funds, and tax items? What do you keep, what do you toss?? Where do you just, you know...put it all? !